Wanda Kate ‘Pop Drawers’ French of Otsego, Michigan, passed away Monday, August 31, 2009 in Kalamazoo. Wanda was born July 10, 1955 in Kalamazoo to Quillman and Melanie “Momo” (Hudson) Phillips and was a life long resident of the area. 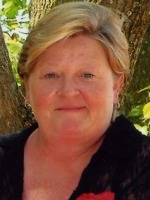 For many years she was owner of Mack’s Fire Protection Co., Inc. and most recently worked as an administrative assistant at Alamo Nursing Home, where she was passionate about her job, the residents and co-workers. She loved to camp, was an avid Tiger’s fan, enjoyed TV shows “Little House on the Prairie”, “Law and Order”, “Star Trek” and “Wheel of Fortune”, and enjoyed playing cards and ‘girls’ night out’ with her family. Most of all she was devoted to her children and grandchildren. Surviving are six children, Monti (Julie) French of Kalamazoo and their children, Morgan, Megan, Mikaela and Jayden ‘Jay Jay’; Hoach (Emily) French and their children Cady and Elijah; Dawn (Kevin) Vanderhoff of Otsego and their children Morgan and Wyatt; Rachel (Kevin) Dennis of Otsego who are expecting Wanda’s ninth grandchild; Cassie (Alex) Kroupa of Schoolcraft and Renee “Water Baby” French of Otsego; her mother, Melanie “Momo” Phillips of Schoolcraft; four sisters and four brothers, Rita, Rick, Sid, Sue, Sherri, Reba, Ron and Dennis; many nieces and nephews, including Lacey who shared a special bond with her. She was preceded in death by her father. The family will receive friends from 1 to 3 and 5 to 7 P.M. Wednesday at the Winkel Funeral Home, Otsego, where services will be held at 11:00 A.M. Thursday with Funeral Celebrant Bill Rose officiating. Contributions in memory of Wanda may be made to Alamo Nursing Home Activities Fund. 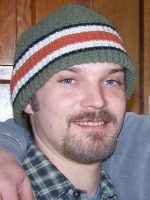 Mitchell Morey of Otsego passed away suddenly Friday, August 28, 2009 in Otsego. Mitch was born June 1, 1980 in Kalamazoo to Richard and Karen (Burroughs) Morey. Mitch was a 1998 graduate of OtsegoHigh School where he was involved with the theatre, was very artistic and enjoyed drawing and had worked at the London Grill in Plainwell for the last 9 years. He loved music, karaoke, his bongos, playing poker on-line, cooking for his family and playing with his nieces and nephew. He was a loving son, brother, uncle, nephew, grandson and friend. Surviving are his parents, Richard (Annette Martin) Morey of Portage and Karen (William) Reaume of Orangeville, his brothers Mark (Amy) Morey and Michael (Kelly) Morey both of Otsego; his nieces & nephew, Mikayla, Michael Jr., Kaitlyn and Aleyca; grandparents, Robert Burroughs and Alice & Forrest Morey, many aunts, uncles and cousins. He was preceded in death by his grandmother, Nelda Burroughs. The family will receive freinds from 2 to 6 P.M. Thursday at the Winkel Funeral Home, Otsego, where Memorial Services will be held at 6:00 P.M. with Pastor Don Ray officiating. Burial at Mountain Home Cemetery, Otsego, will talke place at a later date. Contributions in memory of Mitch may be made to the Epilepsy Foundation. 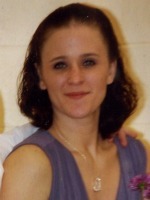 Amber D. Schiffelbein of Allegan passed away Thursday, August 27, 2009. Amber was born March 27, 1982, in Garden City, Kansas to Fred and Diana (Cunningham) Schiffelbein. Amber enjoyed gardening, flowers, helping around the house, cheerleading with her children, camping, fishing and music, she was a great mother and daughter. Surviving are her parents, her children, Skyleigh & Jonathan Schiffelbein, Lillianna Marie Taber and Jasmine Pontz, a brother David Schiffelbein of Sacramento, CA; and her grandparents, Cyril & Barbara Schiffelbein; sister Shannon Anderson, cousin Misty Croft and the fathers of her children, Jack Pontz, Lee Taber and Christopher Lavake. The family will receive friends from 2 to 4 and 6 to 8 P.M. Tuesday at the Winkel Funeral Home, Otsego, where services will be held at 11 A.M. Wednesday. Contributions in memory of Amber may be made to the Allegan Community Federal Credit Union or the Otsego Moose Lodge for the family’s expenses and her children. Ralph D. Venen of Otsego, Michigan, passed away Monday, August 24, 2009, in Kalamazoo. Mr. Venen was born January 4, 1931 in Rices Landing, Pennsylvania to Darwin and Thelma (Davis) Venen. Ralph served his country as a radio operator in the U.S. Army during the Korean War. While stationed in Germany he met his future wife, Waldtraut Bauer. She moved to the United States in 1952, they reconnected in 1955 and were married in Detroit in 1956 and were married for 33 years. Ralph earned his Bachelor Degree in Business at the University of Detroit and for many years was employed at Parker Hannifin Brass in Otsego as Materials Manager. For 12 years he was President of the Otsego School Board and in that capacity spoke at each of his children’s graduations. He was a past president of the Otsego Lions Club, was published in Metals Age and volunteered at many of his children’s sports activities. He enjoyed golf, loved to travel, enjoyed cooking, having lunch with his friends “the Romeo Club” and was a big sports fan. Surviving are three daughters and a son, Linda (Grant) Cole of Otsego, Susan (Kent) Bock of Grosse Pointe Woods, Ralph (Renee) Venen of Bloomfield Hills and Robin (Larry) Boeling of Oakland Township; six grandchildren, Eric Cole, Aaron and Timothy Boeling, Carter and Caroline Bock and Sara Venen; a sister, Lenore Holsopple of St. Mary’s, PA; several nieces and nephews. He was preceded in death by his wife, Waldtraut, in 1989 and by his brothers, Bertram and Darwin. In keeping with his wishes, cremation has taken place. A memorial service will be held at Winkel Funeral Home, Otsego, at 1:30 P.M. Thursday, with funeral celebrant Bill Rose officiating. Contributions in memory of Ralph may be made to Fresenius Medical Care (dialysis center) in Allegan. Betty J. Holmes of Gobles, Michigan, passed away Sunday, August 23, 2009, in Kalamazoo., Mrs. Holmes was born October 6, 1926, in Otsego to James and Laveva (Thaxton) Deaton and was a lifelong resident of the area. Betty enjoyed traveling, camping, vegetable gardening, fishing and especially enjoyed having the grandkids spend the night. Surviving are a son and a daughter, James (Iva) Holmes of Otsego and Linda Holmes of Plainwell; four grandchildren, Alesia, Tara, Timothy and William; nine great-grandchildren; three sisters, Carolyn Taylor, Patsy LaFountain and Nancy Fry, all of Otsego; several nieces and nephews. She was preceded in death by her husband of 59 years, William Holmes, in 2008, and by a sister, Barbara Deaton. The family will receive friends from 2 to 4 and 6 to 8 P.M. Wednesday at the Winkel Funeral Home, Otsego, where services will be held at 11:00 A.M. Thursday, with Pastor Joe Shaler officiating. Burial will follow at Mountain Home Cemetery, Otsego. Contributions in memory of Betty may be made to St. Jude Children’s Research Hospital. 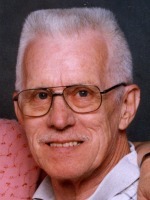 Arnold A. Bohjanen of Kalamazoo, MI, passed away Saturday, August 22, 2009 in Kalamazoo. Mr. Bohjanen was born January 26, 1920 in Hancock, Michigan, son of the late Henry and Elizabeth (Takalo) Bohjanen. After graduation from high school he entered the U.S. Merchant Marine Cadet Corp. as a Cadet Engineer and was assigned to the American President Lines out of San Francisco for sea training. He had been a member of the Mercahnt Marine Reserve, U.S. Naval Reserve, serving as a marine engineer aboard oil tankers during WWII. After leaving the sea, he was employed as a power plant engineer in the utility, paper, mining and auto industries. He was a member of Peace Ev. Lutheran Church of Otsego and a former member of the National Association of Power Engineers. Arnold was a certified master gardener in both Michigan and Florida and enjoyed gardening for many winters in Florida and summers in Michigan. Surviving are three sons, Robert (Virginia) of Kentwood, Douglas of Kalamazoo and David (Lori) of Kalamazoo; four grandchildren; one great-grandson; a brother, Robert (Mabel) of Marquette; a sister, Margaret (Mike) Bourgeois of Atlantic Beach, FL; several nieces and nephews. Preceding him in death were his beloved wife of 62 years, Elaine, on January 24, 2009; and three brothers, Martin, Edward and Fred. The family will receive friends from 4 to 7 P.M. Wednesday at the Winkel Funeral Home. Otsego. Funeral services will be held at 1:00 P.M. Thursday at Peace Ev. Lutheran Church, Otsego, with Pastor Jason Thiel officiating. Burial will follow at Rest Lawn Memorial Park, Grand Rapids. Contributions in memory of Arnold may be made to Peace Ev. Lutheran Church or the charity of choice. 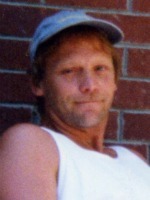 Michael L. ‘Mike’ Sackett of Otsego, Michigan, passed away Friday, August 21, 2009. Mike was born March 26, 1961 in Battle Creek, the son of Kenneth and Judith (Winkler) Sackett. He enjoyed rock and roll music, video games including golf and Madden football, jigsaw puzzles, woodworking, gardening and watching scary movies. He was an avid Detroit Lions fan and had an enormous Santa Claus collection. Most of all he loved his family and spending time with his grandchildren. On February 15, 1997 in Otsego, he married Kathy (O’Dell) Walters, who survives. Also surviving are 8 children, Chelsey, Christopher and Ashlea Sackett, Kenneth (April) Gilmore, Karen Hatten, Stefanie (Anthony) Montague, Jennifer Coburn, and Eric Walters; 9 grandchildren; his parents, Kenneth and Judy Sackett; 2 brothers, Mark (Tina) and Matthew (Alicia) Sackett; several nieces and nephews; his dogs, Maggie and Lucy. He was preceded in death by a sister Kimberly in 1971 and a granddaughter, Kaylea Hatten. Friends may meet with his family Tuesday from 2-4 and 6-8 P.M. at the Winkel Funeral Home, Otsego, where a service will be held Wednesday at 11 A.M., Rev. Jim Spohn officiating. Interment will be at Mountain Home Cemetery, Otsego. Memorial contributions can be made to the American Heart Association or the American Cancer Society. 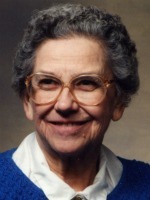 Thelma J. Gordon of Otsego, Michigan passed away Tuesday, August 4, 2009 in Allegan. Mrs. Gordon was born August 31, 1922 in Otsego to Thomas and Elva (Lamoreaux) Simington and was a lifelong resident of the area. Thelma was a member of the Women of the Moose and in her leisure time enjoyed knitting. On October 12,1940 she married Harry Gordon. Surviving are two daughters and three sons, Donna Fryling of Kalamazoo, Bob Gordon of Portage, Karen (Jim) Ringel of Gobles, Rick (Shirley) Gordon of Kalamazoo and Larry (Sharon) Gordon of Lawton; 11 grandchildren, Carol, Diana, Beth, Kathy, Dan, Bradley, Lori, Sandra, Annie, Caleb, RachaelFaith; several great-grandchildren; extended family and friends. She was preceded in death by her husband of 61 years, Harry Gordon, in 2002; an infant son; brothers, Leo, Elwin, Harry and Thomas; sisters, Lucille and Rena; a son-in-law, Norm Fryling; and a daughter-in-law, Karen Gordon. In keeping with her wishes cremation has taken place. A Celebration of her life will be held on Tuesday, August 11, 2009, at 1:00 P.M. at Winkel Funeral Home with Chaplain Johnny Groda officiating. Burial of ashes will be at Mountain Home Cemetery, Otsego. Contributions in memory of Thelma may be made to In-House Hospice. Robert E. “Bob” Dalrymple of Otsego, Michigan, passed away Monday, August 3, 2009, at his home surrounded by his family. Bob was born February 4, 1937 in Otsego, the son of Henry and Donnavieve (Adams) Dalrymple. He retired from Azon USA after 21 years. Bob enjoyed bowling, fishing, watching his grandchildren play sports, and played softball until he was 60 years old coming out of retirement at age 65 to play a three generation game with his family. On October 29, 1955, in Watson, he married Laura Leonard, who survives. Also surviving are 3 children, Rachel (Vince) Schmitt, Michael (Val Vandervort) Dalrymple and Lori Dalrymple all of Otsego; 8 grandchildren and 9 great-grandchildren; a daughter-in-law, Robin Parker; 2 brothers, Ernest (Pat) Dalrymple and Phillip (Carol) Dalrymple; a sister, Frances (Bob) Wilson; 2 half-brothers, Henry “Dean” (Carol) Dalrymple and Clarence Dalrymple. He was preceded in death by his son Scott in January 2009. In accordance with his wishes, cremation has taken place. A Celebration of his life will be held at 1:00 P.M. Saturday, August 8, 2009, at the Trowbridge United Methodist Church, 355 26th St., Otsego with Pastor Tony Shumaker officiating. In lieu of flowers contributions in memory of Bob may be made to Wings of Hope Hospice. Caine left us too soon. He was exuberant and fun loving, he was gentle and warm hearted; his charm and charisma drew in everyone he met. Losing him has shattered the lives of those who loved him. Caine has a strong, close family and we each know how much he cared for us yet, understand that love paled in comparison to the tremendous love he had for his daughter Arissa. She was his world. Caine hoped each day to be the daddy she deserved and left her with a beautiful beginning. Losing Caine is heartbreaking. Our world is forever changed. Caine is survived by his parents, Paula and Randy Grabach, three brothers; Caleb (Karen), Isaiah, & Gideon, and Arissa’s mother Carly (whom he still loved). Caine is also survived by his devoted grandparents and countless family and friends who will love him endlessly. A viewing will be held at Winkel Funeral Home Wednesday, August 5, 2009 from 4:00pm – 8:00pm.